In this post, we'll discuss the Lake Ridge Ladies group and let you read from others the impact it has had on their lives. At Lake Ridge Chapel and Memorial Designers, our greatest desire is to walk with you through every step of celebrating the life of the ones you love. It is our privilege to be able to care for Lubbock by using our services to help design memorial services that reflect and celebrate the unique and well-lived lives of our community members. But our calling doesn't end with the crafting of distinguished services. We want to continue to care and serve the people we come in contact with as they continue their journey through healing, grieving, and remembering. One of the ways we are doing that is through our Lake Ridge Ladies support group. 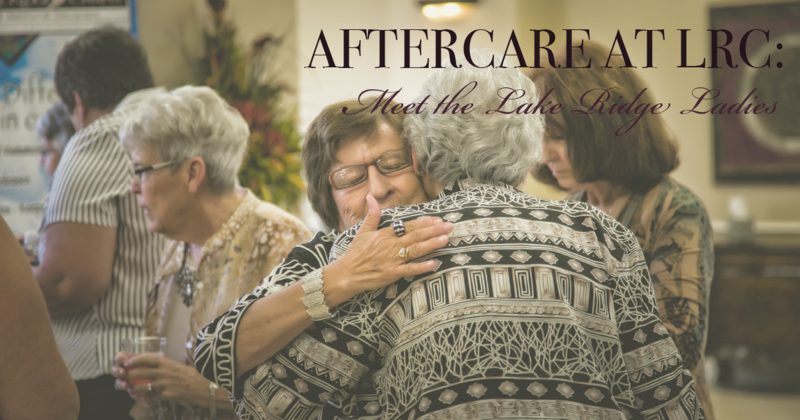 Lake Ridge Ladies program is an aftercare service we provide for widowed women. Our group began in 2014 with only three or four women, and since then has grown to serve over 700 women with about 100-120 active members. Lake Ridge Ladies is led by Gayle Severe who knows and understands what it means to walk through the process of grieving, healing, accepting, and embracing a life that is new and unfamiliar. The Ladies meet several times a month for dinners, games, and outings. In addition to sharing good times, the group aims to also walk with each other in times of pain, difficulty, and sickness. This beloved group has become a vast network of women who support, understand, and love one another. Don't walk your journey alone. The Lake Ridge Ladies would like to extend a warm and compassionate invitation to any woman who would love to find real friendship, enjoy fun evenings and outings, and care for each other in this wonderful group. For more information, call Gayle Severe at (806)535-9323, or visit the group’s Facebook page.